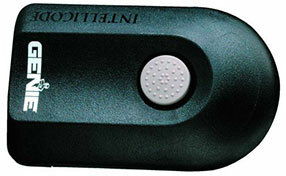 The opener is used to open and shut the garage door automatically instead of manually. Count on us to install, repair and maintain your opener regardless of its brand, year or make. 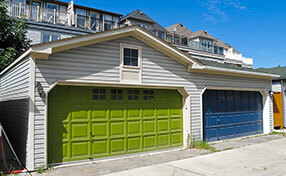 Discover new ways to repair garage doors properly without compromising your safety. The bigger and heavier doors require more powerful motors. 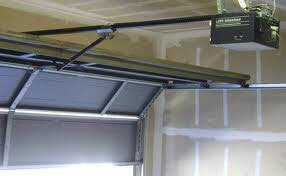 Our experts in Wheeling recommend 0.5 horsepower motors for standard two-car garage doors. Smaller doors can go with a less powerful motor while larger ones will be better off with 0.75 horsepower motor. The models designed for professional installation have a rail consisting of one piece. This makes these garage door operators stronger, more reliable and more durable than their counterparts which you can install yourself. The extra investment is definitely worth making. Before using an automatic garage door, you must read its manual. In that event, you will avoid being taken by surprise by those technical malfunctions that can occur. In addition to this, experts at Garage Door Repair Wheeling will spend less time diagnosing, and more time fixing the problems. Open the door all the way and place a two-by-four block of wood directly under the opening. Once the door touches the wood, it should momentarily stop and reverse its direction shortly after. If this does not work after several attempts, then hire one of our specialists to check the problem. If you are thinking of having your garage door replaced, always consider asking our professionals for tips on maintenance, as they are extensively knowledgeable on all things garage. Don't hesitate to ask and save yourself the trouble of guessing.